Suddenly a number of people have rushed into my website, however, no purchase at all. The answer is simple : PIRACY. I’ll do something, but I don’t think it will stop this. The only measure I can take is updating the contents… ? What saved me from despair is; that this happens on the day very before I release the Pokemod Ruby, the new skin announced before. Actually I finished the work this morning and was about to release it. But I need to put off the release, to consider how to do with this. Maybe I’ll start from closed beta release for early customers. Stupid thing. I don’t want to do that. How pity those who cannot imagine the time spent on the work are. Anyway, Ruby won’t come soon. I’m just sorry for this. Hi Yuta, I’m sorry to hear that you are having piracy issues. When I first saw your theme and realized that it was part of a sound pack, I was expecting to pay $50 (which I would have gladly done). Your theme is so well organized that I feel it makes Zebra more accessible to me. In any case, when I realized that you were only charging $14.99, I purchased it immediately! Now that I see Rudy, I’m really excited for it’s release. I’m saddened by the fact that it is delayed due to piracy, but I understand your need to protect all of your efforts. Until then, I’m excited to play with Crystal and Vintage! I’ll find the best way for all of us. Yuta, I know just how you feel. I’ve found my stuff on pirate sites too and it’s a terrible, terrible feeling. I wasted a day writing to the file sharing sites and asking them to remove it. 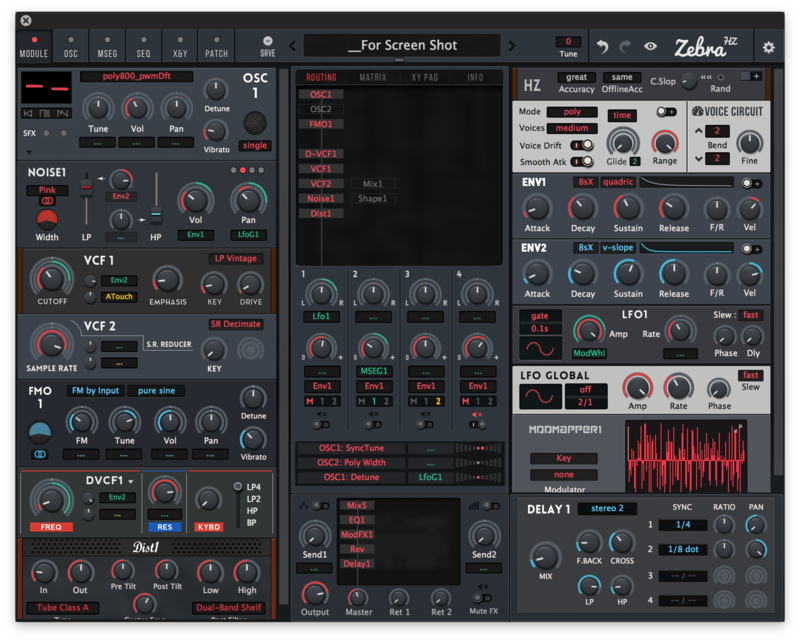 I’m also in the soundware business and there seems to be no way to lock most skin and sound formats, certainly not in Zebra. Even with copy protection they’ll usually find a way around it. I’d advise you to raise your price. I think it increases perceived value and makes people less likely to upload if they bought it with their own money. If you haven’t already, you should contact the U-he guys and offer to create a Zebra 2 skin for them on contract. Maybe even Zebra 3. Your GUI work is superb and a pleasure to use, not to mention the great sounds. I take your advice. I haven’t contacted U-he guys, but the Ruby version makes me think it’s worth doing so. Thank you.